I tried really hard to get as much of the parking sign reflecting in the puddle as I could. I wish my tripod allowed me to get even lower than it does, unfortunately this was the best I could do. With my snowpants on, I had no problem kneeling on the ground and staying dry. This neighborhood, somewhere in between River North and Streeterville, has a scary feel to it. Not a place I would feel really safe walking in the middle of the night alone. 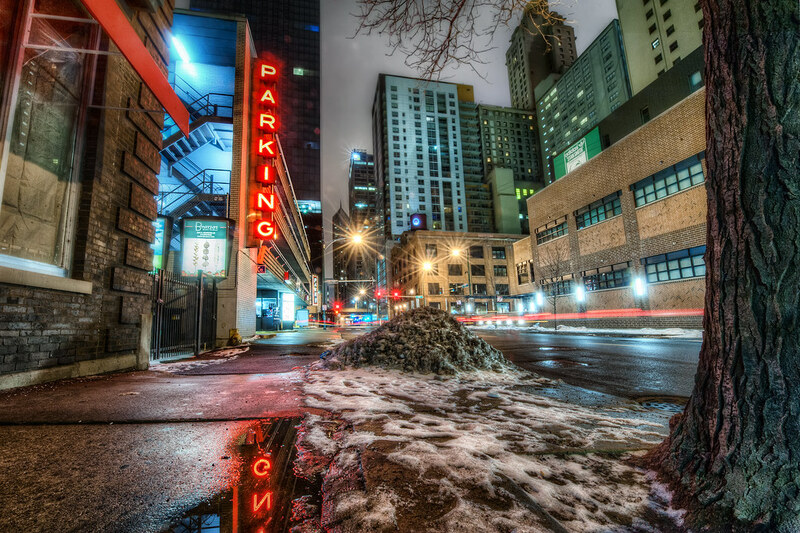 A parking sign during an early winter morning somewhere between Streeterville and River North.